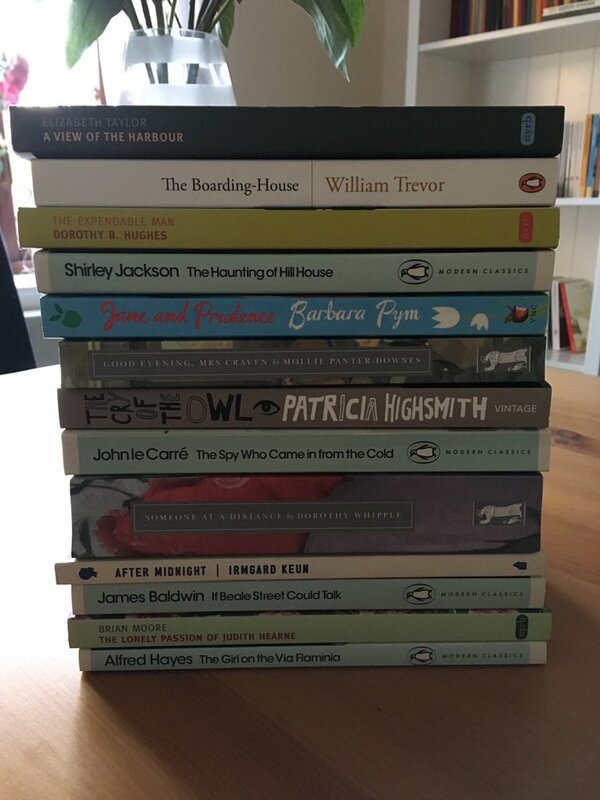 I have written before about my love of the great British boarding house as a setting for fiction – more specifically, novels like The Slaves of Solitude by Patrick Hamilton, Of Love and Hunger by Julian Maclaren-Ross, and The Girls of Slender Means by Muriel Spark. There is something about this type of environment that really appeals to me. Maybe it’s the seediness of these places or the strange mix of people we often encounter there – whatever it is, I never seem to tire of reading about these establishments. 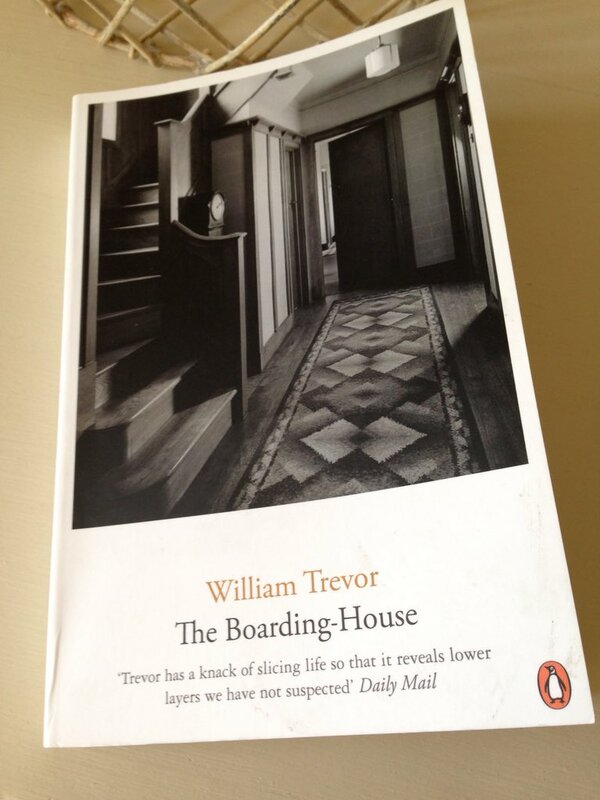 All of which brings me to the very aptly named The Boarding-House, an absolute gem of an early novel by the Irish writer, William Trevor – a very worthy addition to my list. Set in a South London suburb in 1964, the novel is an ensemble piece, focusing on the lives and concerns of the residents of Mr Bird’s boarding house, the sort of traditional establishment that is fast going out of fashion due to the rise in bedsits and flat-shares. At first, Mr Bird’s tenants appear to be a disparate bunch, each person possessing their own individual characteristics and personality traits. However, it soon becomes clear that they are all solitary figures, mostly flawed or inadequate in some way, at risk of being seen as misfits or outcasts from the realms of ‘normal’ society. There is Major Eele, an old-school eccentric with a penchant for strip clubs; Mr Obd, a lonely Nigerian man who longs to deepen his relationship with an English girl he first met some twelve years earlier (sadly, she will have nothing to do with him any more); Mr Scribbin, a railway enthusiast who spends his nights listening to gramophone records of steam trains; and Mr Venables, a nervous office worker who has been the subject of petty bullying for most of his life. Then there are the female residents, Miss Clerricot, a somewhat plain secretary who is puzzled by the fact that her married boss seems to be taking a particular interest in her, and Rose Cave, a gentle, middle-aged woman who remains haunted by the memory of her dead mother. There are a couple of other notable residents too, Nurse Clock and Mr Studdy – more about those two a little later on. All of these characters are drawn by Trevor with great precision and clarity, and in such a way that clearly elicits the reader’s sympathy. The pen portraits of Miss Clerricot and Rose Cave are particularly touching. There is a sense of tragedy surrounding the lives of both of these women, a feeling of missed opportunities and unfulfilled potential as time passes them by. At first, Miss Clerricot is buoyed by the attention of her boss, Mr Sellwood, who takes her to lunch and then on a business trip to Leeds. However, her illusions are shattered when she realises that her companion is merely looking for someone who will listen to him, a captive audience for his interminably dull discourses on the banking and insurance industries. Not that Miss Clerricot wants to have an affair with Mr Sellwood, but it would be nice to feel wanted and desired in some way, at least for once in her life. Rose Cave’s backstory is sadder still. Having been born out of wedlock, she never knew anything of her father apart from the fact that he had been hired by her grandparents to hang some wallpaper in their house. There was a closeness between Rose and her mother in those early years; the scandal over the affair and the snobbery it created in the family drew them together, cementing their reliance on one another until death intervened. Also residing at the boarding house are the kitchen staff, the pragmatic Mrs Slape and her young helper Gallelty – the latter a very recent addition to the household, having been scooped up by Mr Bird in the most unlikely of circumstances. It’s not long before we get the sense that Mr Bird has deliberately ‘collected’ these various unfortunates over the years, seeking them out for his own pleasure – not as acts of kindness but for some sort of perverse mischief, the nature of which becomes a little clearer as the story moves forward. Even though Mr Bird dies right at the beginning of the novel, his presence is felt throughout by way of extracts from his ‘Notes on Residents’ and accompanying flashbacks from the past. Plus, there is the sense that his spirit remains in the house following his death, exerting its influence over the various events which subsequently play out. In a move seemingly designed to put the cat among the pigeons following his death, Mr Bird has bequeathed the boarding house to the two most diametrically opposed residents – namely, the rather brusque and interfering Nurse Clock and the feckless petty criminal and blackmailer, Mr Studdy. Constantly on the lookout for any moneymaking opportunities, Studdy – a rather amiable chancer – uses the residents’ collection for Mr Bird’s funeral to acquire a couple of cut-price wreaths, pocketing the spare cash in the process. A nice little earner when added to the eight pounds eight he hopes to save in unpaid rent – money previously owed to Mr Bird that he now plans to keep for himself (well, as long as Nurse Clock doesn’t get wind of it). The other residents and kitchen staff fear Mr Bird’s death will signal the end of the boarding house. However, the conditions included in Bird’s will and testament provide them with a certain degree of reassurance. Nurse Clock and Studdy are to inherit the establishment provided it remains in its current form with no changes to the residents or staff – well, until someone dies or leaves the boarding house of their own accord. There is much fun to be had in observing the dynamics between the domineering Nurse Clock and the rather sly Mr Studdy as they vie for position in the house, their conversations with one another are a real treat. In time, however, Nurse Clock realises that Mr Studdy might prove to be of some use. With Studdy’s assistance, she plans to turn the house into a home for the elderly – an altogether more agreeable endeavour than a boarding house, and potentially more profitable to boot. Studdy, for his part, sees this development as a positive move, viewing it as an opportunity to extort money and valuables from vulnerable elderly residents in their twilight years of their lives. As the story plays out, it builds to a near-inevitable denouement. One gets the feeling that the spectral Mr Bird is playing God with the lives of the various residents, pitting them against one another in a bid to destabilise the environment he once created. While the lives of many of these characters are marked by a deep sense of sadness or loneliness – Mr Obd’s situation is particularly heartbreaking – they are partly balanced by touches of dark humour every now and again. Major Eele takes centre stage in some priceless scenes, most notably those involving a certain Mrs le Tor, the unfortunate recipient of one of Mr Studdy’s rather tawdry blackmail letters. The attempted disposal of Mr Bird’s clothes to a charity for refugees gives rise to more moments of hilarity. In an underhand move on the part of Mr Studdy, the deceased’s suits and shirts get mixed up with items belonging to Mr Scribbin and Mr Venables, much to the embarrassment of the normally uber-efficient Nurse Clock. It is a truly marvellous scene, one that could have come straight out of a classic comedy of manners by Barbara Pym. All in all, The Boarding-House is a superb novel, a wonderful study of human nature, a tragi-comedy of the finest quality. Highly recommended. The Boarding-House is published by Penguin Books; personal copy. 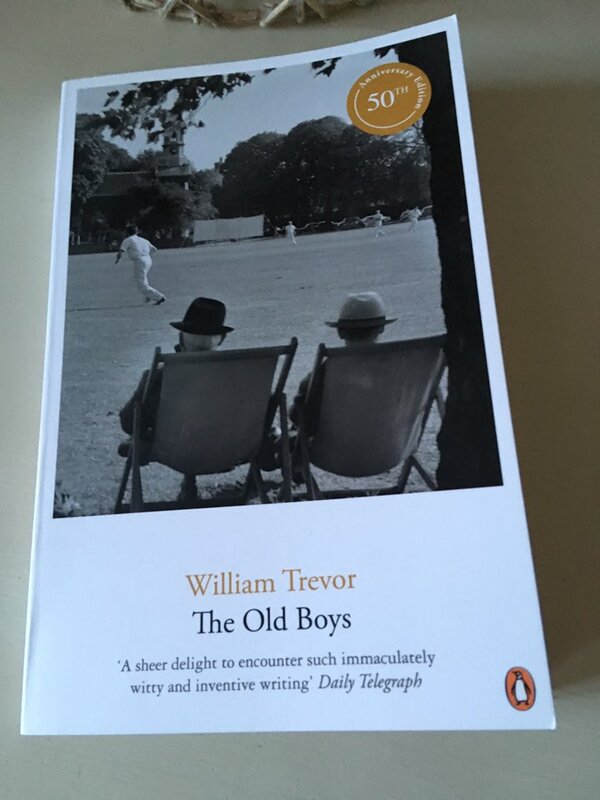 This entry was posted in Book Reviews, Trevor William and tagged #ReadingIreland, Boarding Houses, Book Review, Classics Club, Fiction, Ireland, Penguin Books, William Trevor on May 22, 2018 by JacquiWine.